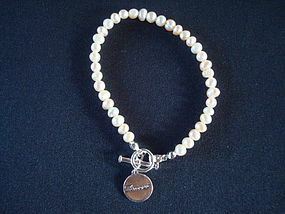 Lovely genuine sea pearl bracelet by Avon. It is signed NR Avon. It is 7 1/2" long and has 37 genuine sea pearls! 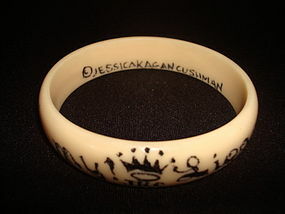 This bracelet is the perfect gift to give to your cherished loved one, because it is the bracelet of Love!!! AMOUR!! !